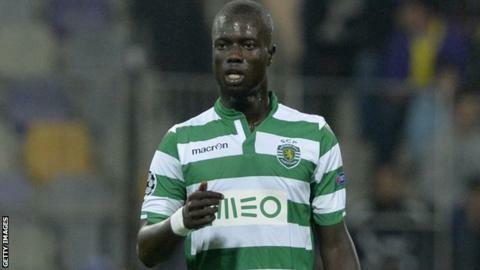 Championship club Charlton Athletic have signed Sporting Lisbon defender Naby Sarr for an undisclosed fee. The 21-year-old centre-back, who has represented France at Under-21 level, has agreed a five-year deal with the south-east London club. "Naby is a player the club has been watching for a while," Addicks boss Guy Luzon told the club website. "We nearly got him in January, but now we have done everything we can to get him this summer." The Israeli added: "He is strong, physical and another player who will do very well in the Championship." Sarr began his career with Lyon and joined Sporting last summer. He becomes Charlton's seventh signing of the summer transfer window following Zakarya Bergdich, Cristian Ceballos, Ahmed Kashi, Simon Makienok, El Hadji Ba and Patrick Bauer. Meanwhile, Addicks goalkeeper Marko Dmitrovic has joined Spanish Segunda Division side AD Alcorcon on a season-long loan. The 23-year-old Serbia Under-21 international made five appearances for Charlton after moving to The Valley from Ujpest in January.